Back in September, I approached the booth at Photoshop World where the Drobo was humming along quietly. I was interested in the box, and thought it might be a solution. I asked a few questions of the booth attendant, and she just didn't know the answers, and the guy that did was talking to the person next to me about all sorts of non-Drobo things, as far as I could tell. After about 10 minutes waiting, I decided that I would do my research online instead. What did I find? Beware the results. The immediate deal-breaker for me is it's proprietary file system, and I couldn't find anywhere that gave a justification for this, in fact, it seemed to be glossed over. What is a proprietary file system? Well, back in the days of VHS vs. Betamax, VHS was an open system, that anyone could use, hence the broad adoption of VHS. Sony, on the other hand, developed Betamax, a proprietary way of playing tapes, and no one else could use it. So, Betamax died. Just as with this, if you have a drive on one computer, you can unplug it, or take it out if it's an internal drive, and plug it into another brand of computer, and the drive will work. 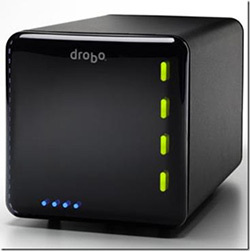 With Drobo, if you're not plugging your drive into another Drobo, the data is just plain inaccessible. For me (and many others), that's just a deal-breaker. There are, as you probably know, two types of people in this world - those that have had a hard drive fail, and those that will. If the you're the former, you'll question seriously a proprietary file system. If you're the latter, you'll be taking risks for which you don't know the consequences, until you have had a failure, and then you'll get religion. But what other problems are there? ZDNet did an interesting review, but they say "Another consumer friendly innovation is that the Drobo doesn’t require the user to pick up a screw driver to put the hard drive in to a carriage bay." Sorry, this isn't a selling point for me, in fact, owning professional drive systems from places like Wiebetech, OWC, and so forth, not to mention Apple's expensive RAID solutions, require that users can wield a screwdriver. The review correctly criticizes the speed, at between 11 and 16 mb/sec. So, when you shoot 500 images on an assignment with a D2X/Mark II or better, be prepared to wait a long time just to copy your files over, open and update raw files with camera raw, and write them back. A FW800, GigE or SCSI connection will serve you much better. We can build a server that supports this configuration with gigabit throughput for about $600 including shipping and that lets you serve data on the network at 70 MB/sec or more out of a single Gigabit Ethernet adapter which can be shared by all the PCs on the network. That does however require some skill or at least willingness to learn how to build a PC. But this isn’t the market that Data Robotics is targeting; they’re after Photographers or other professionals that just want something to work out of the box without having to mess with all these settings let alone build something. Those people lose money by the hour and they can’t afford to waste time building or learning about this stuff. The reality is, with the S L O W throughout, you'll be losing money by the minute as you wait for massive amounts of images to be copied to and fro, and this will add up - I promise you. Photographer Doug Plummer reported on his problematic experiences with the Drobo and the good folks over at Luminous Landscape are (and have been) debating this for awhile too. Don't trick yourself into thinking there is an easy path to effective storage, where you don't need to understand the behind-the -scenes issues at hand. You had to learn things like depth of field relative to focal length, and flash duration. So too, do you need to understand how to do effective image archiving and storage, and why the Drobo, as a turnkey solution (or any solution) just is not a good choice, in it's current incarnation. The French, they have Visa pour l'image, known to most just as Perpignan (for the city where it's held each year), which is a gathering of top photographers and photo editors from around the world. Closer to home, we have the second incarnation of what is the first of it's kind in North America - what I think will be the US version of Perpignan - Festival of The Photograph, in Charlottesville Virginia. Last year, I wrote about it (Off to Recharge My Batteries, 6/7/07) and this year, the dates have been announced, and it's June 12th through the 14th. Last year was an amazing experience, with interesting presentations throughout the day, and then a monsoon of a rainstorm that gave the first night's party an otherworldly feel (with most people remaining dry, save for a projector! ), followed by a surreal theatrical presentation in the Pavillion the following night. With Charlottesville only about 3 hours away, and such a refreshing experience last year, I'd be foolish not to head back, and you'd be foolish to not make your own journey there, regardless of the duration of your travel. It was billed last year as three days of peace, love, and photography, and it certainly was, so how can you go wrong? Who doesn't need some extra peace and love? Tickets are limited - click here to get yours ASAP! "Effective April 1, 2008, Adobe will discontinue operations of Adobe Stock Photos, its royalty free image service for creative professionals. Adobe Stock Photos will remain operational for customers using Adobe Bridge enabled applications within Adobe Creative Suite 2 and Adobe Creative Suite 3 software until March 3, 2008 when the search and comp download features in the service will be disabled. All other functionalities including viewing order history and re-downloading and purchasing of images will remain available until March 31, 2008. Discontinuation of the service will not terminate valid license agreements for royalty-free images already purchased. To purchase content from the image suppliers that were included in the Adobe Stock Photos service, please visit their websites directly. For additional information, visit http://www.adobe.com/adobestockphotos or call 1-800-685-3505. Adobe Stock Photos customer support will be available until June 1, 2008." I am glad to see this remove a distraction from Adobe's other endeavors. Over a decade ago, I sat in a seminar and heard photographer Charles Lewis talk about the risks of putting copyrighted music on videos you are delivering to clients - the chief risk being - it's a breach of the music owner's copyright, and good luck getting permission. Lewis offered a collection of music - on tape at the time - with all the necessary clearances. Times they have a changed, and now what options do you have? So, go check them out, and see what they have to offer. 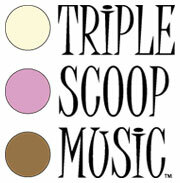 They are good people making good music, and their contribution to your visuals will make a difference. 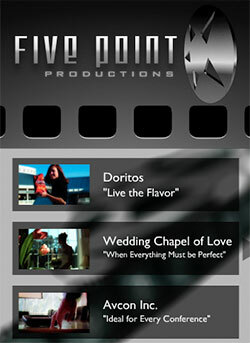 So, last year, at about this time, we wrote about the laughable Five Point Productions, who sought fame and fortune (Free photos (and $13 Superbowl ads)) "winning" a Dorito's contest. Their last blog entry was from a year ago, where they were ever so excited about all their media appearances, which translates into more advertising exposure for Dorito's. I'd say that's because they're so busy they don't have time to blog, but judging from their portfolio, I highly doubt that's the case. "This whole experience feels like we've just won the American Idol of the business world... and in a big way." No, atleast the American Idol winners get some money and a record deal, you get nothing of the sort. What have they done since then? Well, an ad for the "Wedding Chapel of Love", a local A/V company, another religious chapel, and, a "proof of concept" (read - not really a paid ad) for a local auto dealership. Wow - these guys have really swung into the big time since a year ago! What happened to all their big dreams? Crashed in the crush of a $13 superbowl sucka-punch from corporate America. Welcome to the real world, and thanks for further devaluing creativity.